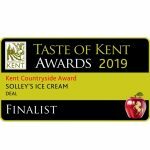 Solleys Farms Ice Cream Ltd is a company registered in England and Wales, also using the names of Solley’s Ice Cream & Solley’s Ice Cream Parlour and owner of the website www.solleysicecream.co.uk. We are committed to respecting your privacy rights and maintaining the security of your data is a priority at Solleys Farms Ice Cream. We will always handle your data fairly & legally and will be transparent about what data we collect and how we use it. 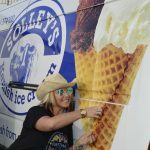 Solleys Farms Ice Cream Ltd uses your personal data for electronic (email) marketing purposes only (with your consent through signing up to receive these communications) to keep you up to date with the latest news, events & offers. Changing the marketing preferences on your Mailchimp account with Solleys Farms Ice Cream. By using the simple “unsubscribe” link in emails. Contacting Solleys Farms Ice Creams via the contact channels given at the end of this policy. This list is not exhaustive and, in specific instances, we may need to collect additional data for the purposes set out in this Policy. 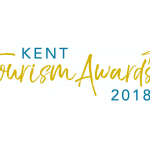 Some of the above personal data is collected directly, for example when you set up an online account on our website (trade customers only), or send an email to our customer services team. Other personal data is collected indirectly, for example your browsing activity. We may also collect personal data from third parties who have your consent to pass your details to us, or from publicly available sources.